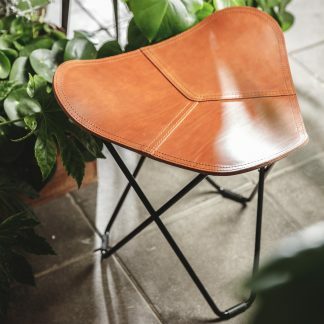 This is a wonderful alternative to the leather butterfly chair. The hemp cover breathes in a way that keeps you cool in the summer and warm during the winter. With extra strong fibers, you can rest assure that this chair will make you very comfortable. Hemp is one of the oldest cultivated crops. 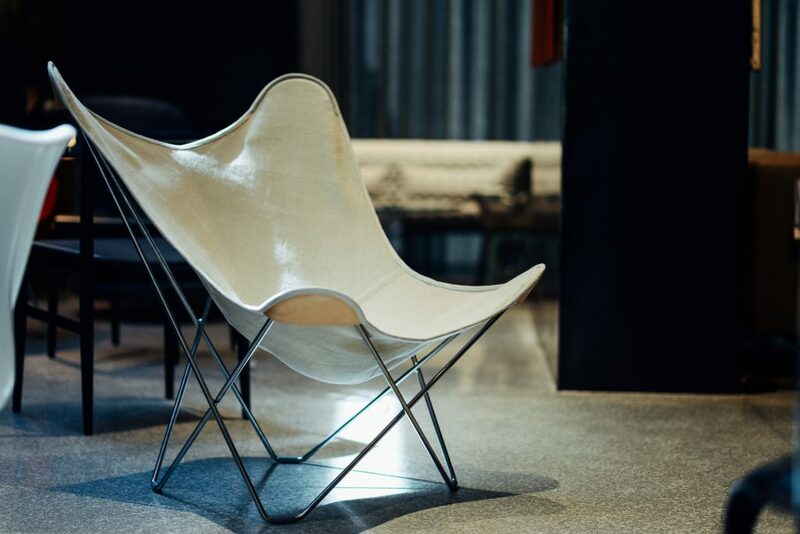 Hemp fibers’ positive qualities have been recognized worldwide for thousands of years. The special thing about hemp is that it is extremely good for the environment. Stalk, leaves, flowers, sedes and cell fluid. Every part of the plant has a utility. It has been used for food, fiber and fuel. 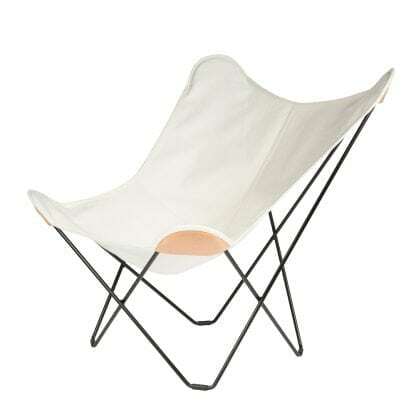 Cuero Design uses it to make the desirable canvas butterfly chair. The sun shines on your green garden. A cool wind in your hair. 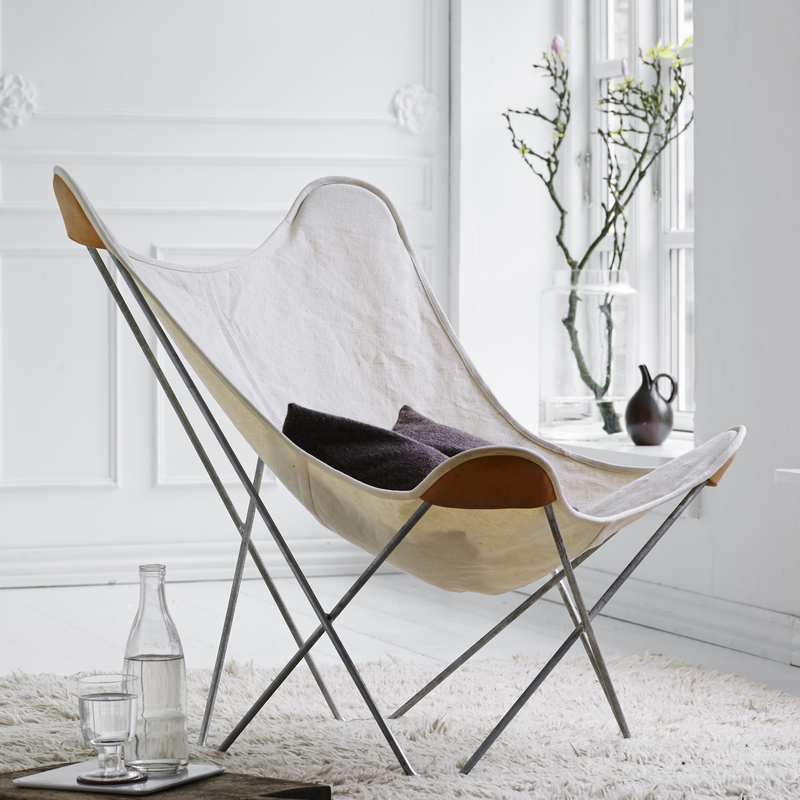 Lay down in your Canvas Butterfly Chair and enjoy the summer. The sun is shining and so are you. The only thing you need to remember is that the cover is not suitable to be left in the rain. You need to take it in when you see the dark clouds coming. Fortunately, it’s very lightweight so this requires no effort at all. Also, it’s very easy to store inside because the cover can be folded. 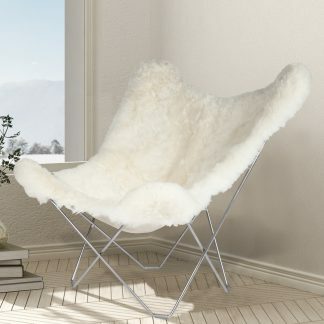 Given its natural properties, hemp is surprisingly versatile: it feels cooler in summer yet you´ll stay warm in winter. 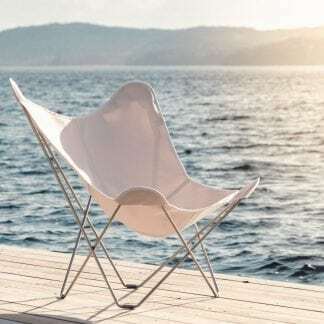 Air which is trapped in the fibers is warmed by the body, making the canvas butterfly chair a truly comfortable four-season furniture. 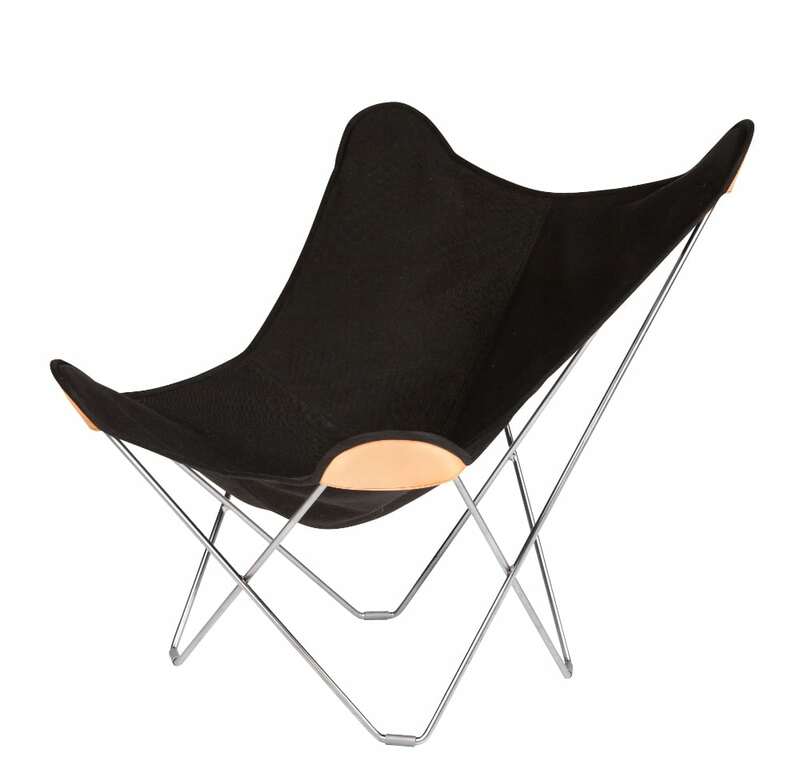 Many of our customers buy a separate cover to their chairs. This permits you to alternate the look of your home with the changes of the seasons. 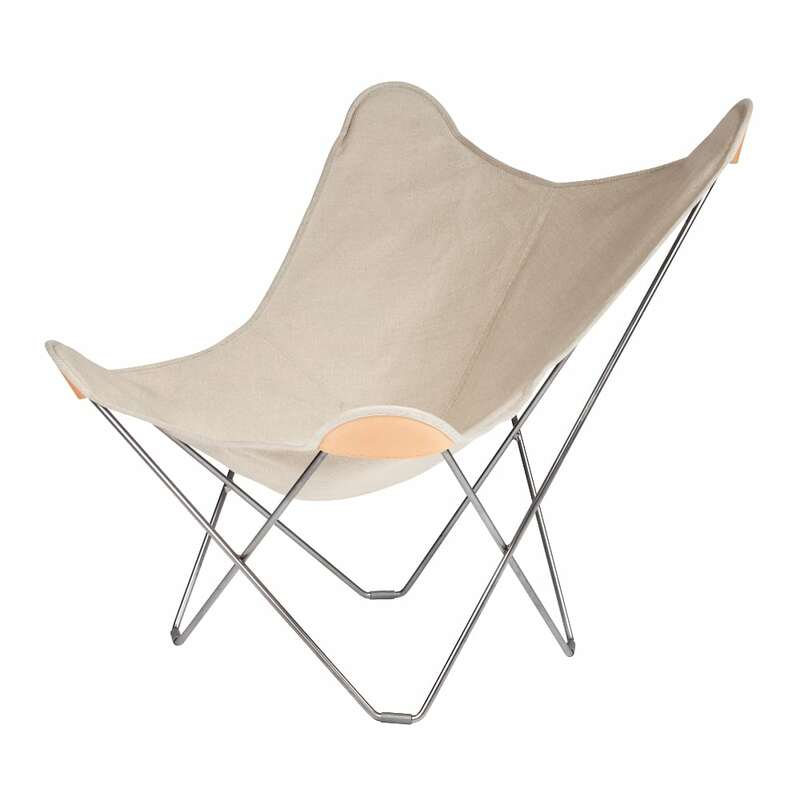 It also lets you start with a lower cost version of the butterfly chair and then later upgrade to a leather cover. 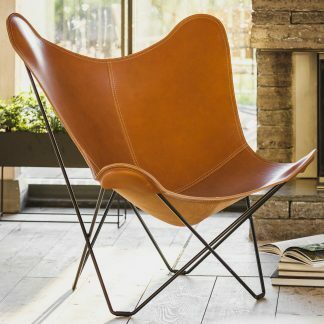 Do You Recognize The Size Of This Chair? This Canvas Butterfly Chair is larger than the average butterfly chair. Its unique size not only implies more canvas and steel, but exceptional comfort.